As my first post nothing is more fitting than to address one of the biggest pop culture rumors, or more accurately conspiracies, that I can recall in the past decade or so- Did Beyonce give birth to Blue Ivy? I’m not going to recount all the various rumors and who started them but instead I will focus on the evidence. The strongest evidence supporting Beyonce really birthing Blue Ivy comes from the woman herself. In her HBO documentary, “Life is But a Dream”, Beyonce both discusses her pregnancy and shows video and pictures throughout the course of her pregnancy. Unless you believe that she staged all of those images and video then it should be case closed. However, let’s delve a little deeper. Since Life is But a Dream doesn’t necessarily make the chronology of events crystal clear we need some contextual clues to put the puzzle pieces together. 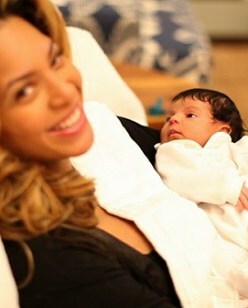 We know that Blue Ivy was born January 7, 2012. Given that Beyonce stated in interviews she was due in February let’s assume Blue Ivy came a month early and she was conceived in April. 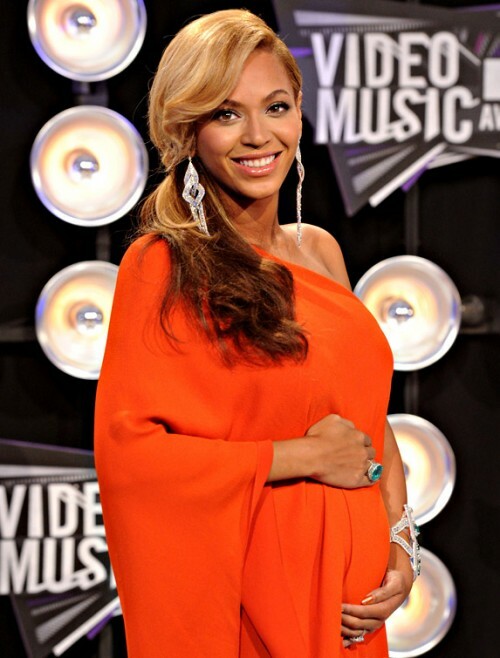 In her documentary Beyonce discusses being pregnant during the Bilboard Awards. That show took place on May 22, 2011 and at approximately 6 weeks pregnant you wouldn’t expect to see her showing. Fast forward to August 3, 2011 when she filmed her “Party” video. Presumably she was about 16 weeks pregnant during the shoot. At this point there is no noticeable baby bump in the “Party” video. That could be the work of clever angles and costumes so there is no smoking gun that she was or was not pregnant. A few weeks later Beyonce performed a series of shows at the Roseland and wore just one costume that was loose enough around the stomach area to disguise her growing belly. In her documentary, Beyonce shows us exactly what her belly looked like at 20 weeks. This coincides with the MTV Awards and when Beyonce revealed her pregnancy to the world on August 28, 2011. On September 7, 2011 she was photographed in Croatia with a bikini showing off her bare belly. At that point you can see her belly is about the same size as it was at the MTV Awards. Considering that it was a paparazzi shot of her bare belly I think it is safe to say it was not a staged shot and she did not wear a prosthetic baby bump the week before to exaggerate her pregnancy. Beyonce was photographed dozens of times over the following months in the fall and winter of 2011 with a growing bump. On October 10, 2011 controversy erupted when the dress, or as some would allege her baby bump, collapsed during an interview. Here is a simple question…why would one of the most photographed women in the world decide to fake her pregnancy yet go on a national tv show with a whoopee cushion for a fake baby bump? The notion she is some sort of sick vain illusionist trying to pull off the biggest facade in recent pop culture history yet simultaneously idiotic enough to wear a baby bump that can collapse by her bending over doesn’t really square. We KNOW Beyonce is very meticulous, controlled, self-aware, and methodical so to me it is absurd to believe she would be so sloppy and careless if her goal was to deceive the masses. Back to Life Is But A Dream, Beyonce also gives us glimpses of her in a very pregnant stage. The footage shows her dark pregnant silhouette and it is more reasonable to believe that it is her and she isn’t wearing a pregnant suit. Finally there brief glimpses of Beyonce in the delivery room shown during the documentary. You see her in the hospital bed, getting her hair rolled, and preparing to give birth. If after all of that there is still doubt in your mind then I don’t know if anything can convince you. My call on the “Beyonce used a surrogate”, “Beyonce wore a prosthetic baby bump” rumors is: FLAGRANT FOUL. There is absolutely no reason to believe that Beyonce has any incentive to fake a pregnancy right at the exact same time she is releasing an album. Her album “4” was her least successful album to date and did not produce any top 10 singles. Promoting, touring, and videos fuel record sales all of which Beyonce was unable to do at her prior levels due to being pregnant. There is no financial pay off (she didn’t sell pictures of Blue Ivy) and I don’t think “trying to preserve her figure” is a compelling enough reason to convince me she and her entire family would cook up a crazy idea to fool the entire world into thinking she was really pregnant. If she didn’t want people to know she had trouble conceiving she wouldn’t have revealed she had a miscarriage. The entire conspiracy defies common sense. It’s up to you to decide if you want to believe bloggers and anonymous sources with no verified connection to Beyonce who can say absolutely anything they want without reprieve or the person herself and her family who have stated very clearly that Beyonce had her baby.